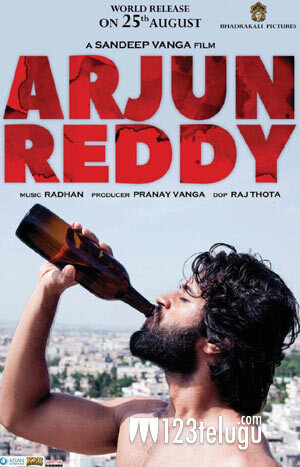 Vijay Devarakonda-Sandeep Reddy Vanga’s Arjun Reddy is one of the most talked about Telugu films of the year, without a doubt. While the film has taken the two Telugu speaking states and the US box-office by storm, even Tamil film industry is showing great amount of interest in the film. For the past few days, several members of the Tamil film fraternity have reportedly begun enquiring about the film and several producers have approached the makers of Arjun Reddy to snap the remake rights. Already, the film has taken the Chennai box-office by storm with several critics raving about Vijay’s performance and Sandeep’s writing. Meanwhile, a poll conducted on social media caught the pulse of the audience, who suggested that either Simbu or Vijay Sethupathi will be apt for the film. Now it remains to be seen who’s going to act, and direct, this remake in Tamil.